The Sun, Moon, stars and planets are visible to the unaided eye, and so they have been visible to astronomers since before recorded history. Some of the earliest records we do have tell us what the ancient astronomers thought about the heavens, and how they used the changing night sky in their daily lives. 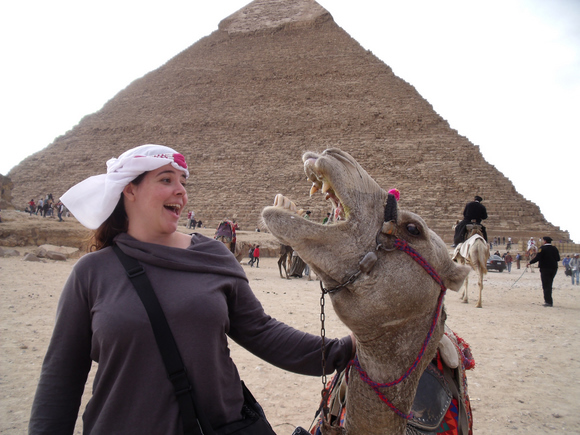 Pamela, a pyramid and a camel. Illinois University at Edwardsville. Hi, Pamela how are you doing? Pamela: I’m doing well, Fraser, how are you doing? night sky in their daily lives. 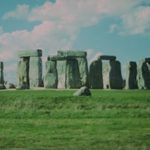 Let’s look at archaeoastronomy. who like astronomy? Or is it astronomers who like archeology? that then becomes a word no one can say. Fraser: Sort of an Indiana Jones with a telescope? Fraser:Or a [missing audio] with a bullwhip? we talking about buildings, documents…what is Archaeoastronomy? but I’ve never even seen a picture of this. What does it look like? same place), that dagger of light pierces exactly through the center. ways of doing it, and Stonehenge is the, “Wow! This is kind of awesome! 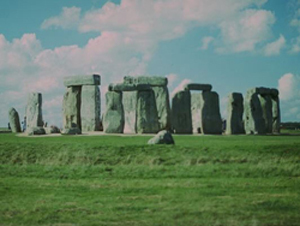 yes, there are summer solstice alignments with the heel stone in Stonehenge. and what would you be seeing? the highway, along with a lot of people who smoke interesting things. able to do the things that they did. solstice was clearly very important to them. — and it’s a perfect alignment. Pamela: And with the Pyramids, it’s potentially even a double-alignment. Fraser: Sorry, Cardinal points, what does that mean? Fraser: OK so, what is it – the corners are North, South, East and West? if you draw a line from the other corners, you’ll go East-West? I guess they just didn’t really commit. really need to worry about commitment issues. Fraser: Have you ever seen them? sell you things, and it’s very overwhelming. examples. Let’s have some more. Fraser: So, it’s in Mexico, right? is traced out in a whole variety of different Mayan relics. depending on which culture you were in. necessarily particular to a certain orbit, but the alignments are there. really elaborate shapes. They’re quite amazing! Fraser: Yeah, I mean is that likely? I mean, could you take any object? going to get that kind of a situation? We can only go as far as our best guesses. for chance alignments of words. say, “See? Stonehenge predicted the Great Fire of London…” you know? only an airplane to see, then they must have had airplanes, you know? up with north, south, east and west. It’s just something we do. how a winter solstice is an important thing, and not that complicated, right? eventually you’ll hone in on the shortest and the longest days of the year. interesting, but I can’t prove it,” and other times you’re left going, “Wow! them and precisely aligned these giant structures. Fraser: Wow! Alright, well that was great, Pamela. Thanks a lot! Pamela: It was my pleasure. thanks for that you two – another great episode. Wow, cool pic. I heard that camels can be aggressive and mean-spirited. Photo looks scary with that camel’s mouth wide open and showing lots of big teeth. BTW, love every show you two have done. Keep up the great work! At Chichen Itza, the two most famous buildings are the observatory (El Caracol) and the step-pyramid (El Castillo).